Preheat oven to 350°F. In a medium saucepan, sauté the sausage in olive oil, crumbling with a wooden spoon, until no longer pink. Add onion and garlic and continue sautéing for another 4 minutes until the sausage is cooked through. Add pasta sauce to the sausage mixture and set aside. In a medium bowl, blend ricotta cheese, egg, ¼ cup parmesan cheese, parsley; set aside. 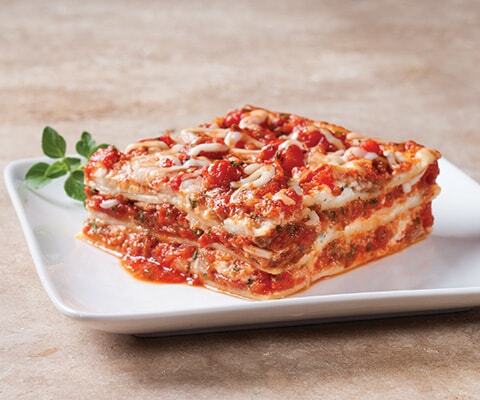 Spread 1 cup of the sauce mixture on the bottom of baking pan, top with 3 lasagna noodles. Spread ¼ of the ricotta cheese mixture on the noodles and layer 1 cup of the sauce mixture. Sprinkle ½ cup mozzarella cheese over this. Repeat this process two more times, starting with the noodles and finish with the remaining 1/4 cup parmesan cheese. Sprinkle with oregano. Bake for 45 minutes until hot and bubbly. Let stand 10 minutes before cutting. Stop adding sugar to Classico Sauces! You are just making them worse! I used to buy Tomato and Basil but no more! You have ruined a great product!